As a building owner or manager, you know that as the demand on a building rises, an increasing demand is placed on its vertical transportation. The elevator system is critical to any building operation, whether residential, commercial, hospital, public or private building. What are your responsibilities? There are a number of different things that you as the building owner or property manager need to know if your building is equipped with elevators. The first item on a building owner’s elevator to-do list should be assuring good service. Owners know that when they have elevators that work well, tenants are retained. But to achieve optimal level of performance, the elevators need to be properly maintained. What type of service should you have? Higher elevator speeds, greater system usage, and the taller buildings so common in our modern cities all increase the need for preventative maintenance. We recommend a Full Maintenance Contract (FMC). This type of contract is written to allow an elevator service company to take total responsibility for the elevator equipment identified in the agreement. This contract acts like an insurance policy and allows the manager to eliminate concerns relating to elevator liability and exposure to claims in the event of accidents or injuries. Liability is limited because the maintenance contractor assumes all responsibility and determines the amount of service visits required to keep the elevator system operating safely. The more risk you are willing to assume, the lower the cost of services will be. Pride and Service also offers other types of service agreements besides the FMC. Contact us to learn what these other types of contacts include. Keeping the door tracks clean on the threshold from the hall entrance into the elevator is the responsibility of the owner/building management. A small stone can become jammed under either the hall or car door and prevent movement, causing a trouble call. Check to make sure the entrance, in most cases from the hall, over the threshold onto the elevator floor is equally flat and level. If flooring is changed from the original installation and tile is added, make sure there is no tripping hazard. Be aware also that adding any extra weight like mirrors, tile flooring and paneling to the side walls can make a substantial difference in the balance or operation of the elevator system. If any upgrade work is performed on the inside of the elevator cab, all materials must be fire-rated. In most jurisdictions, such upgrades must be performed by registered contractors. The best practice is to work closely at all times with the service provider/contractor to ensure that all code requirements are fully met. Pride and Service offers interior cab renovation services, click here to learn more. 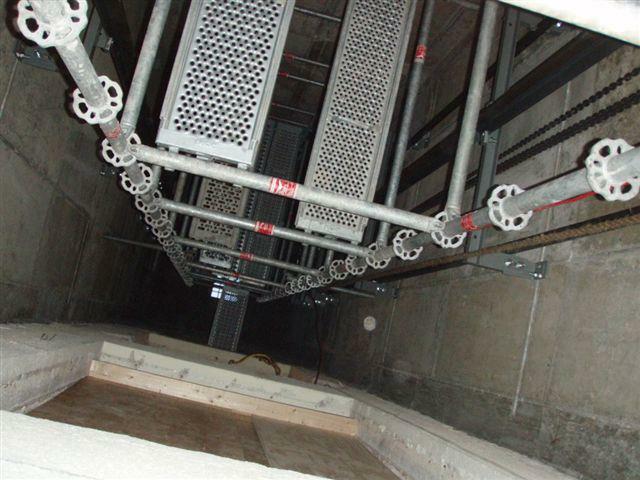 One common mistake is to upgrade the ceiling of an elevator cab without regard to safety requirements. A beautiful ceiling may be installed with numerous pot lights. The trouble is, no one thought of the escape hatch in the ceiling of the elevator cab. This escape hatch is provided to remove trapped passengers in an emergency. Make sure the beautiful ceiling has a removable panel directly under the location of the escape hatch. Have the building management frequently check not only to see if the communication/telephone device and the alarm bell are working but also to make sure the elevator is operating normally. Check that the position indications are functioning and that the push button lights where applicable are working and that none of the push buttons are broken and cracked. Your elevator’s communication line should identify which elevator is having trouble. This can be a critical requirement in the event of an emergency. It is amazing how many people forget what building they are in! Our goal is to be a source of information. If you have any questions about something you have read in this blog, or questions about your elevators in general, please do not hesitate to give us a call. We are happy to speak with you and answer any questions that you may have. Click here for all of our contact information. Your elevator represents a valuable investment. In addition to having a sound preventive maintenance program performed by trained elevator service specialists, there are several things you can do to maintain the beauty of your elevator. Cleaning should be incorporated into your regular elevator service. Elevators that are used daily in any building must be kept in clean working conditions to prevent accidents. Clean, attractive, and safe elevators help enhance the image of the facility as a whole. In addition to the preventative maintenance and service we provide, Pride and Service works with a local, trusted company to offer elevator cleaning services. These cleaning services go far beyond the cab’s interior – we insure that every single component of your elevators are as clean as possible and are not causing any issues. Our cleaning services provide better housekeeping, good cleaning of the equipment, removal of carbon build up, changing of HVAC filters, and good record keeping. In the motor room, DC motors and motor generators utilize carbon brushes which throw off carbon dust. This dust infiltrates just about everything and causes the need for constant cleaning and changing of HVAC filters. Excessive buildup of carbon dust can create problems with the equipment as well as fire hazards in the motors themselves. This is why it’s extremely important to have a regular cleaning schedule in place. In addition to the “Enviornmental Package,” there are lots of other cleaning packages that we can provide. We can customize any package to match the exact services that you require. Any many of the packages are eligible for discounts when combined with other services. For more information about how Pride and Service can help you have clean, safe elevators – please contact us today. We would be happy to discuss the prices and services in further detail with you. 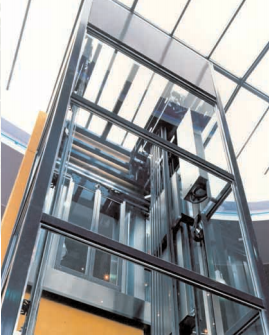 Elevators are a great convenience and require a high degree of skill and physical effort to install. Many people take this for granted. The next time you look that the magnificent skyscrapers that make up the New York skyline or have the opportunity to admire the view from the upper windows of these architectural masterpieces, realize that their existence would not be possible without elevators. 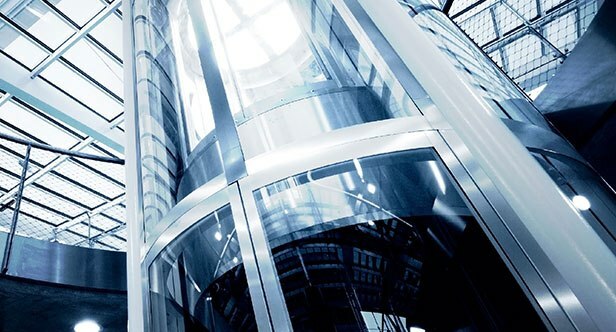 Millions of people use elevators everyday to ascend and descend tall structures, taking for granted the skill and hard work that goes into building and maintaining these state-of-the-art elevator systems. Elevator mechanics are then men and women who build these systems and keep them running safely and reliably. Elevator constructors must have a firm grasp of hydraulics, electricity and computer electronics. They also must understand the physics that make the smooth ascent and descent of an elevator possible. Installing a new elevator requires a combination of sophisticated skills and hard work. Using blue prints as their guide, elevator construction mechanics determine the equipment needed to install rails, machinery, car enclosures, motors, pumps, cylinders, and plunger foundations. Once this has been done, the building begins. Mechanics bolt or weld steel rails to the walls of the shaft to guide the elevator. They insert electrical wires and controls by running tubing for electrical wire between floors. Then they install electrical components and related devices at each floor and at the main control panel in the machine room. Installers then erect the steel frame of an elevator car at the bottom of the shaft; install the car’s platform, walls, and doors; and attach guide shoes and rollers to minimize the lateral motion of the car as it travels up and down the shaft. They also install the outer doors and door frames at the elevator entrances on each floor. Once the shaft, cards and electrical operating system is in place, it is fine-tuned to ensure that it moves at a desired speed and stops correctly at each floor. The elevator constructor’s craft is highly challenging because technological innovations are constantly creating new ways to keep up with the need for higher speed in conjunction with the construction of taller buildings. Once the elevator is complete and running, proper service and maintenance is critical for the continued safe operation. Service mechanics are responsible for routine servicing and repair. Pride and Service Elevator conveniently offers both ends of this spectrum. We perform elevator construction jobs and we also provide maintenance services. If you are interested in learning more about how Pride and Service can help you, give us a call today at (908) 967-6074.